We start with opponent gaining the puck in their end, starting a breakout. 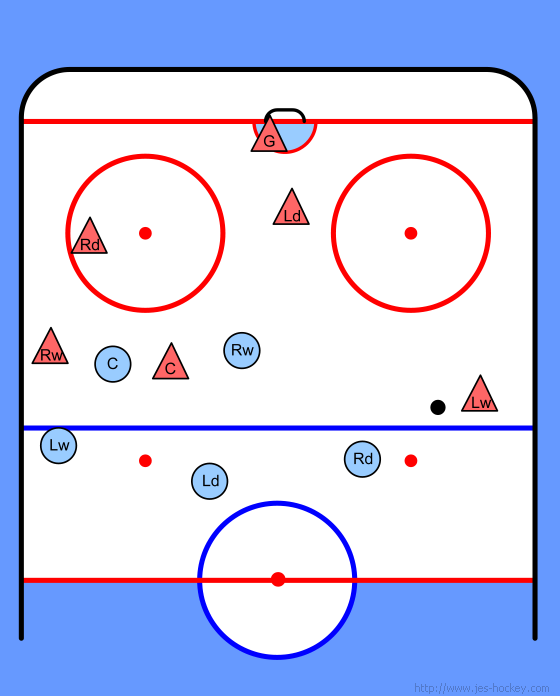 Our D slides over towards center, LW races back to become a "3rd" D on left side. Once in position, we're like an umbrella (shaded areas). 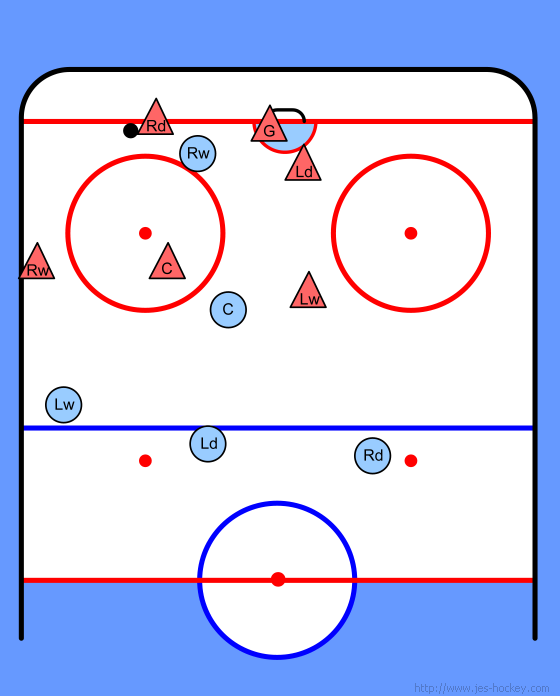 Second forechecker (C) will pressure recipient of first pass and try to force a bad second pass into traffic in the neutral zone. Deep forechecker starts coming back. As RW gets back, she will further clog up passing lanes. 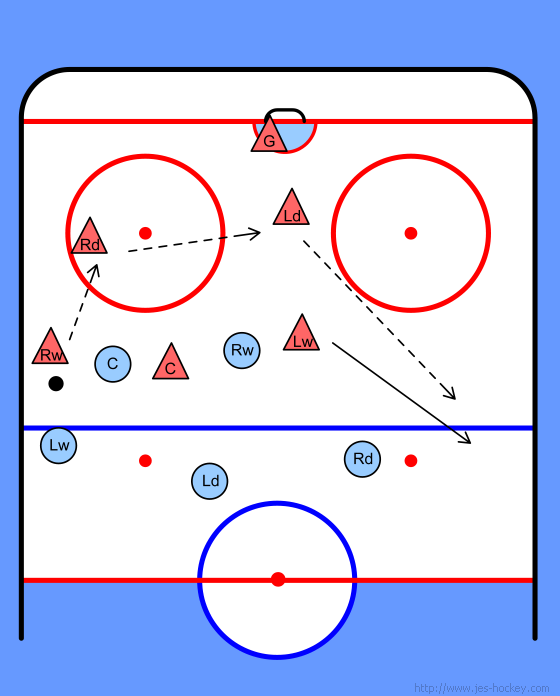 The idea is to force a bad pass, which will end up with one of the 3 back defenders. The only way out of here for opponent is backwards! This is the best-known way to beat this trap. 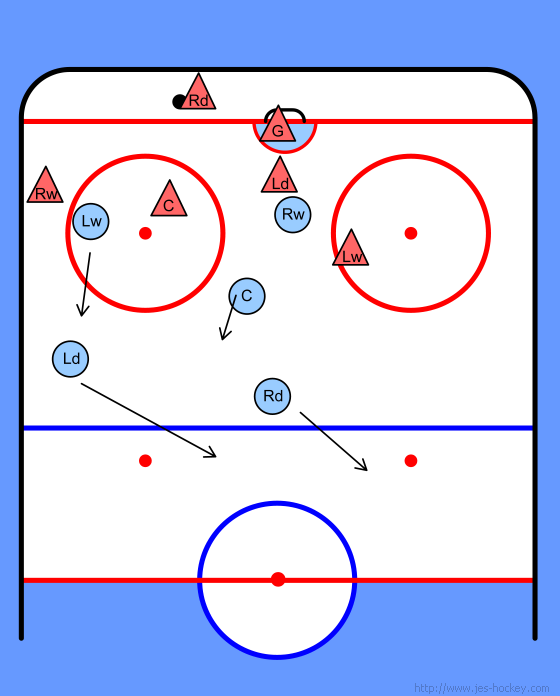 Now we'll look at how to escape a trap: One way to beat the trap is for the RW to stop, pass back, get a quick pass across to the other side and up to a wing breaking on the weak side. If anyone ever plays a trap defense on us, this is what we would have to do. Go to the far boards. 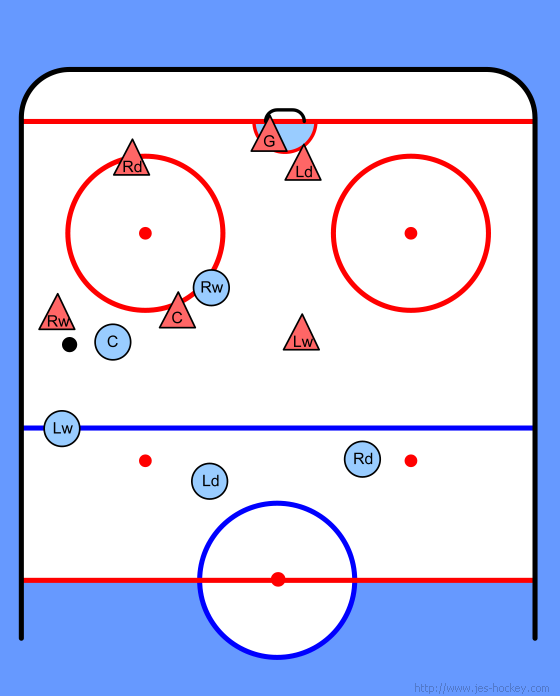 Weak side winger has to be alert and get out to open ice. 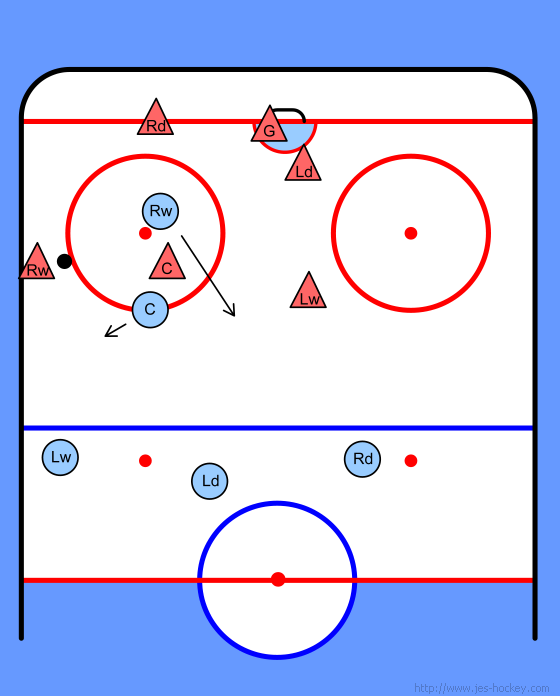 The puck has to go back to the D in order to get around to her. Now the race is on!